Janusz Korczak, played by SCA Senior John Davis (right) pictured with (left to right) Steffa played by SCA Senior Jennah Finnegan, Orphan played by 8th grade student Nora Schuh, Adek played by 9th grade student Nathan Compton, Orphan played by 4th grade student Matthew Brownlee, Marcel played by 9th grade student Hudson Harris, Big Hannah played by 9th grade student Kaitlyn Gregg and Orphan played by Lucas Brownlee. 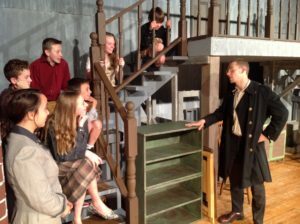 The SCA Theatre Department will present Korczak’s Children at 7 p.m., November 8 – 10 on the Summit Christian Academy Stage. 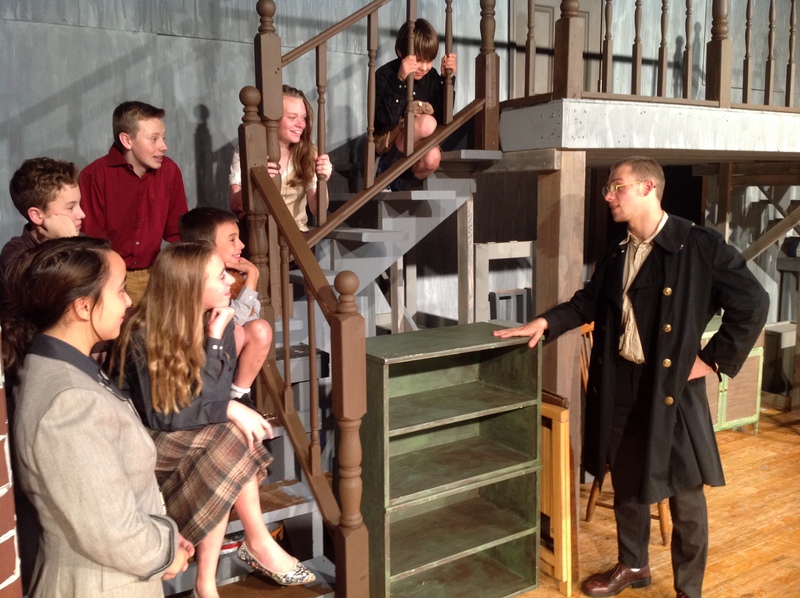 (Lee’s Summit) – The Summit Christian Academy (SCA) Theatre Department will present Korczak’s Children, with performances at 7 p.m., November 8 – 10 on the Summit Christian Academy stage located at 1450 SW Jefferson in Lee’s Summit. Based on a true story, Korczak’s Children chronicles the self-less acts of Janusz Korczak, the teacher and director of the Warsaw Ghetto during the Nazi occupation of Poland in World War II. Korczak strove to keep the 200 Jewish boys and girls of his orphanage alive, safe, and hopeful in the face of horrific conditions. While tales of deportations to concentration camps spread, Korczak permits his orphans to stage a musical play to teach them about death. As the play is rehearsed, rumors become reality and Korczak must decide who can be saved and who must go to the final journey together. or by calling the SCA Secondary office at 816-525-1480. Tickets purchased in advance are $8, or $9 at the door.